From prototype to production, we offer quality work with competitive prices. Our capabilities include milling, turning, boring, grinding, cutting, shearing, forming and of course, welding. Typical materials range from stainless steel, aluminum and brass, to hastelloy, titanium, molybdenum and tungsten. We are a full-service facility capable of producing a single custom piece to thousands of machined parts. We will take care of all your specific needs. We use state-of-the-art equipment and stay current with technology changes that are required to maintain our position as a desired supplier in a very competitive industry. 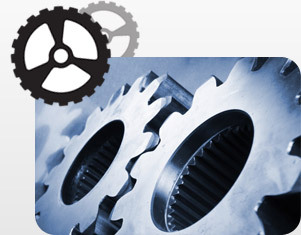 Since 1979, we've been producing parts for various industries. Our commitment and dedication provides our customers with results that are cost-effective and timely. Our excellent reputation is built on supplying high quality machined parts that meet all customer specifications and that all parts are delivered on-time. At Harvard Products, Inc. we realize that our success in the machining industry is based upon our commitment to quality, reliability, and precision. We employ machinists, not just machine operators, who apply years of machining expertise and knowledge. This enables us to ensure quality throughout the production process. From the moment the material comes in the door, until it is boxed and shipped. We enjoy a close working relationship with our customers. Feel free to contact us by phone or email for all your machining needs. Copyright © 2007 Harvard Machinery. All right Reserved.